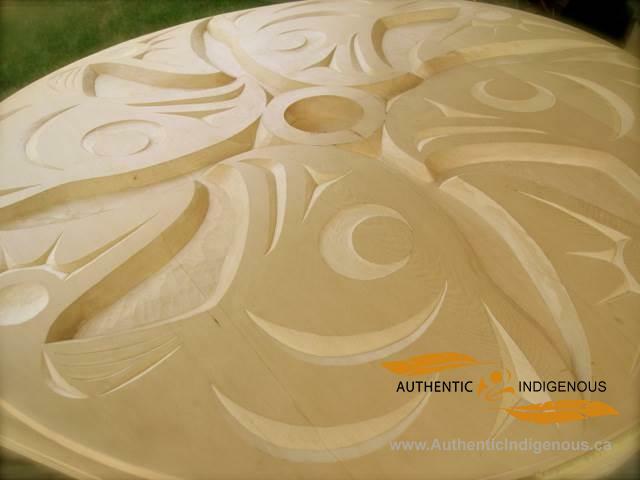 I base my work in the classical Coast Salish style, but also work to reflect our contemporary world. 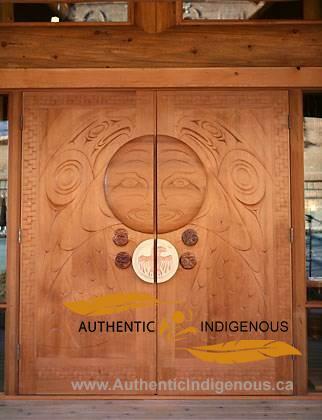 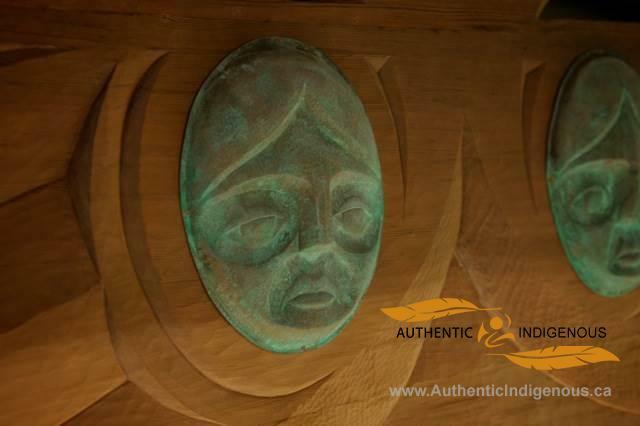 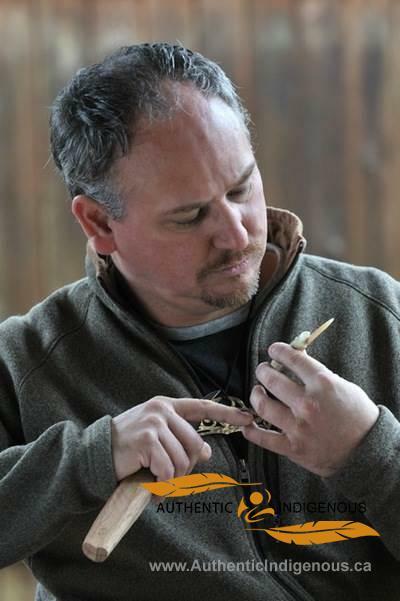 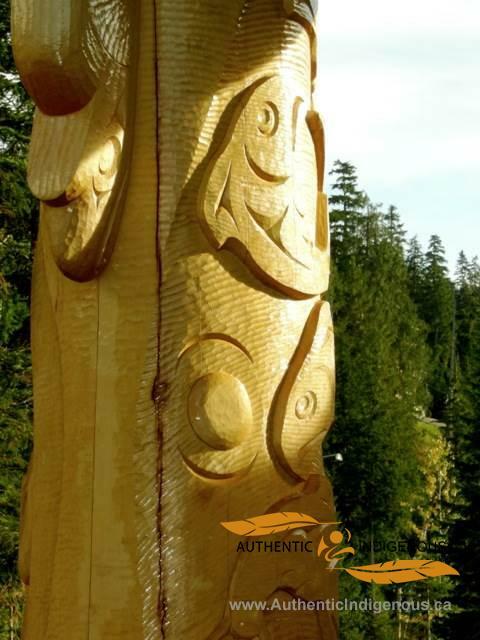 Aaron has been woodcarving since 1996, having apprenticed with Xwalacktun, and have worked on flat panels, totem poles and houseposts, as well as smaller pieces in a variety of woods. 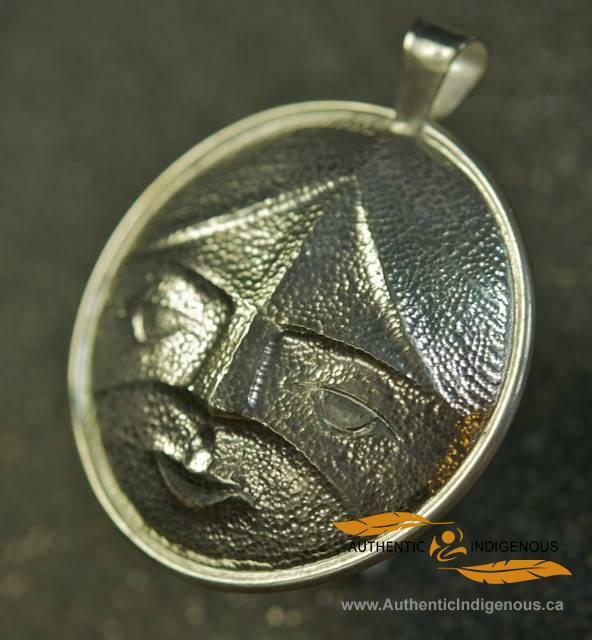 He also studied jewelry engraving at the Native Education College in Vancouver, and studied repousse with Valentin Yotkov. 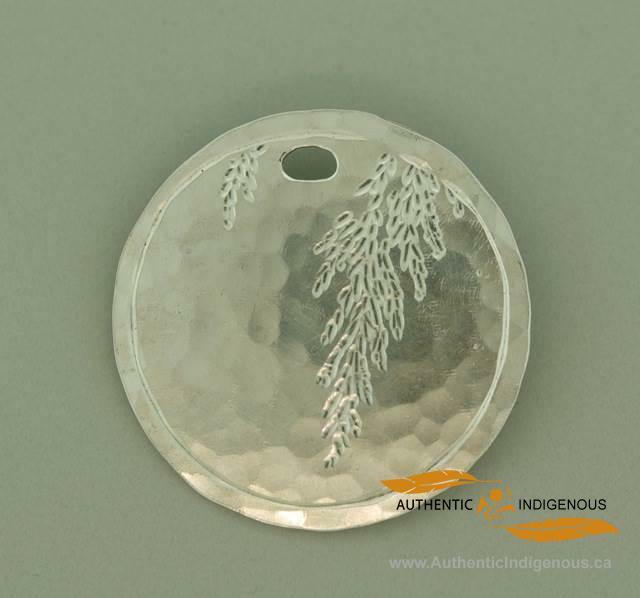 He has also been researching metalsmithing to work on some larger pieces in copper.